When apologizing to your boss, accept responsibility, be specific, make amends, and be sincere. If you’ve somehow diminished your standing with your boss, an apology may be required to keep the peace or even save your job. Take time to formulate your thoughts, but extend your apology in a timely manner. And while it helps to be prepared, your responses will be somewhat predicated on what your boss has to say to you. So familiarize yourself with “the rules” of a decent apology, prepare what you can, and above all, be sincere. Write down your thoughts to help clarify your purpose, but don’t train them to memory so that you risk coming across as robotic to your boss. A certain amount of stammering and stuttering is to be expected if you’re nervous or upset; in fact, these verbal tics may help you come across as more sincere. Tell your boss that you would like to speak with him in private when it’s convenient for him to do so. Tell him that you would like to discuss the matter that has precipitated your apology. This is a more polite approach than launching into an apology at what may be a bad time for him. Apologize directly for the incident. Don’t hedge by saying “I would like to apologize for…” Say “I am sorry that I…” Demonstrate that you understand the ramifications of your words or actions -- in other words, how they were inappropriate, unprofessional or insensitive. 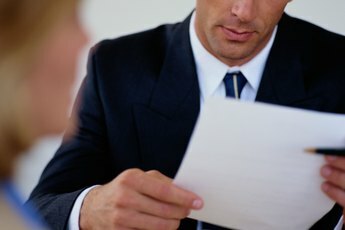 Prove that you understand your boss’s point of view by saying, "My action/choice of words showed an embarrassing lack of professionalism, and I can see why you got upset." Specificity will help show that you understand the result of your words or actions, thereby making your apology seem more sincere. Acknowledge that while you cannot change the course of events that have transpired, you can learn from experience. Pledge not to repeat the mistake again. Allow your boss to interject, as he is bound to do. Listen carefully before you respond and try not to sound defensive in return. Show humility and swallow your pride, if necessary. It may be uncomfortable, but it won’t be fatal; it may even save your job. 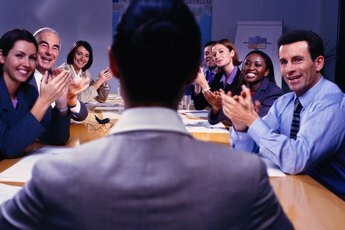 Swallow additional pride if, deep down, you believe that your boss is over-reacting to the incident that led to your apology. It’s a small price to pay for restoring relations with your boss and harmony to the workplace.